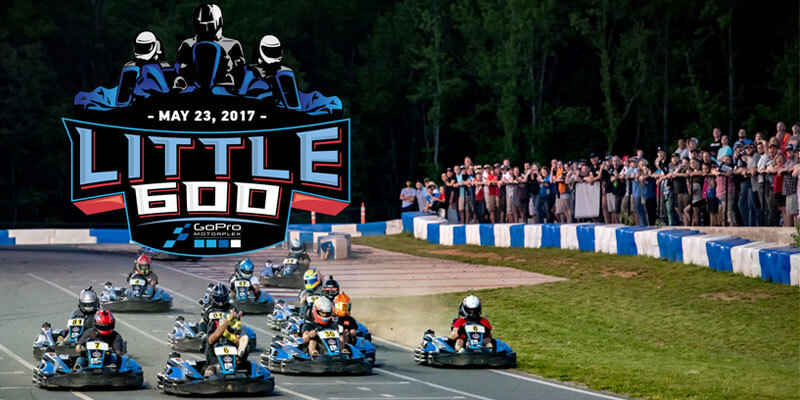 This coming May will be the 5th annual “The Little 600” race of the year. This race has fast become a fan favorite and for anyone who is into go karts or motorsport racing, this race is certainly for you. Based right outside of Charlotte Motor Speedway in Mooresville, NC, it hails drivers from all walks of life. So far, Darrell Wallace, Jr. (2016 winner), Ryan Blaney (2015 winner), Kyle Larson, Ricky Stenhouse, Jr., Joey Logano, Chase Elliott, Michael McDowell, Justin Allgaier, Corey LaJoie (2017 winner), Trevor Bayne, John Hunter Nemechek and many more are scheduled to appear and race at the event. Everything involved with this race of the year, including the fanfare, is exactly what we are trying to emulate at LVGP. We want to create big events and attract big names to revitalize the name of Motorsport racing here in the Lehigh Valley and abroad. With some local favorites like Marco Andretti, Corey Lewis, and Kyle Lick attending events representing our area. LVGP is fast becoming a household attraction for serious racers, and the fun night out for attendees all across eastern PA. The race of the year has caught my attention from the past couple seasons and I have been watching it grow for a while now. It does justice to our passion here at LVGP to see professionals, semi-professionals, amateurs and new riders come from all over the country to throw down with these racers and leave it all on the line. Go-karts or not, these competitors want the bragging rights and the respect. LVGP aspires to create races such as this one to gain attraction in our area. We will be working towards gaining local and national notoriety to build some of the most star studded, competitive go-kart races this area has ever seen. With our highly experienced team and resources, we guarantee to bring races such as the Steel Stacks Grand Prix back for another year, bigger and better than ever. Look for updates this summer on our website and currents events posts so you can mark your calendars down. These events sell out fast and space is LIMITED. Also, check out the Motorplex Little 600 May 5th and follow all the action for some of the best go-kart and NASCAR racers in the country throwing down.